After nearly a decade since the last UK tour sold out within days, Cameron Mackintosh is delighted to announce that his acclaimed Broadway production of Boublil and Schönberg’s musical “LES MISÉRABLES” will open at Curve Leicester for a season from Saturday 3 – Saturday 24 November 2018 (press night 14 November 2018 ), before playing the Bord Gais Energy Theatre, Dublin (5 December 2018 – 12 January 2019), Festival Theatre Edinburgh (22 January – 16 February 2019) and Manchester Palace Theatre (19 February – 30 March 2019). Further dates will be announced. 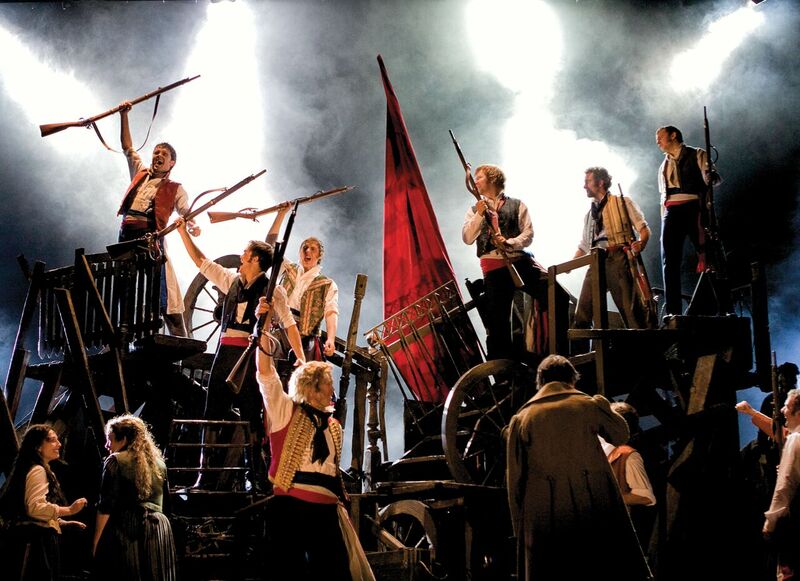 Cameron Mackintosh said, “Since I first conceived the new production of “Les Misérables” to celebrate the shows 25th anniversary in 2009, this production has taken the world by storm - more than matching the success of the original, which can now only be seen in London. I am thrilled that modern audiences have embraced this production as Les Mis for the 21st century and it is playing to packed houses all over the world in many languages. It also inspired the hugely successful movie version starring Hugh Jackman, Anne Hathaway and Eddie Redmayne. Based on Victor Hugo’s classic novel, Boublil and Schönberg’s magnificent score of “LES MISÉRABLES” includes the songs, “I Dreamed a Dream”, “On My Own”, “Stars”, “Bring Him Home”, “Do You Hear the People Sing?”, “One Day More”, “Empty Chairs at Empty Tables”, “Master Of The House” and many more. Seen by over 120 million people worldwide in 45 countries and in 22 languages, “LES MISÉRABLES” is undisputedly one of the world’s most popular musicals. Cameron Mackintosh’s production of “LES MISÉRABLES” is written by Alain Boublil and Claude-Michel Schönberg and is based on the novel by Victor Hugo. It has music by Claude-Michel Schönberg, lyrics by Herbert Kretzmer and original French text by Alain Boublil and Jean-Marc Natel, additional material by James Fenton and original adaptation by Trevor Nunn and John Caird. The original “LES MISÉRABLES” orchestrations are by John Cameron with new orchestrations by Christopher Jahnke and additional orchestrations by Stephen Metcalfe and Stephen Brooker. The production is directed by Laurence Connor and James Powell, designed by Matt Kinley inspired by the paintings of Victor Hugo with costumes by Andreane Neofitou and additional costumes by Christine Rowland, lighting by Paule Constable, sound by Mick Potter, musical staging by Michael Ashcroft and Geoffrey Garratt, projections by Fifty-Nine Productionsand music supervision by Stephen Brooker and Graham Hurman.